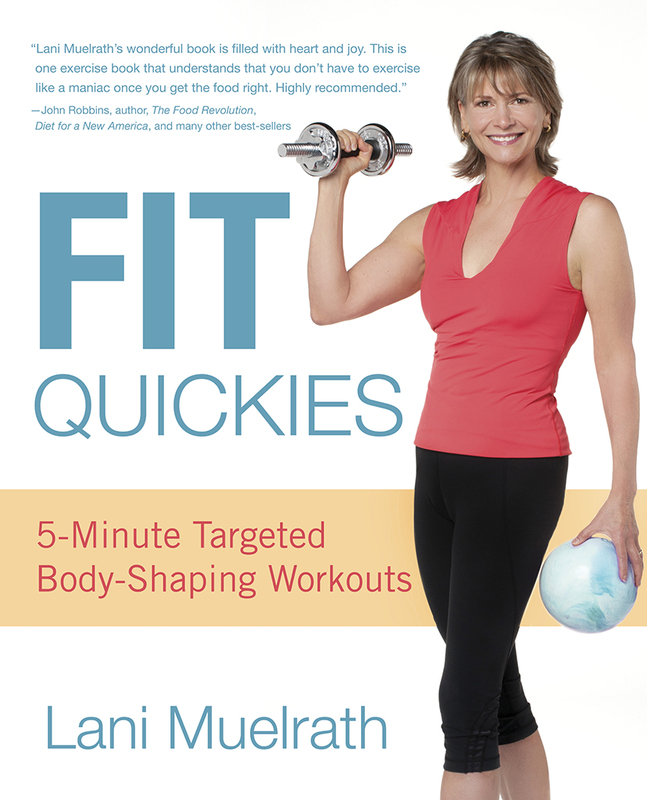 Fit Quickies: 5 Minute Targeted Body-Shaping Workouts is actually three books in one. The Fitness: an effective, research-driven collection of exercises for functional fitness and body shaping that cuts through the confusion of trends and complicated weight loss routines. It minimizes the time investment needed to see results, yet is honest about what is needed to achieve fitness and body-shaping goals. With these targeted five-minute workouts you’ll lift and shape your body and soon see a flatter belly, shapelier thighs, firmer arms, a tighter rear end, a stronger core, and much more. The Food: You’ll find out how to be full without being fat . You don’t have to go hungry or exercise like a maniac to achieve your body ideal. And once you get the food right, the fitness is sooo much easier. You carve your figure with your fork – and there’s a simple, delicious solution with a whole-foods, plant-based diet. The Frame of Mind: And 3rd, the piece that brings solid backbone to the food and the fitness – that gives the glue to everything else? mindset. Mindset is what brings it all together. When you change your mind, you will change your body, you will change your life.